Asian treasures, is a treasure trove for all you artsy lovers. Especially for those who have a strong liking for the ethnic and the traditional. Asian Treasures is a home décor store which sells some unique ethnic Asian arts, crafts, collectibles, furniture and beautiful little ornaments to make your space look different. They keep traditional home décor which is primarily imported from different parts of Asia. So now you can show off that oriental lamp to your guests, anytime they walk in to your home. They have a lot of artifacts, furniture, lamps, Buddha statues, brassware, bronzeware, frames consoles and cabinets. You can either light up your corner or gift that smiling baby Buddha to someone for good luck. What we love though is their bronzeware decorative for different spaces. They are stylish and yet authentic and antique-y in their look. Check out some of their stuff here & here. If you ever find yourself on MG Road, they have their store there. 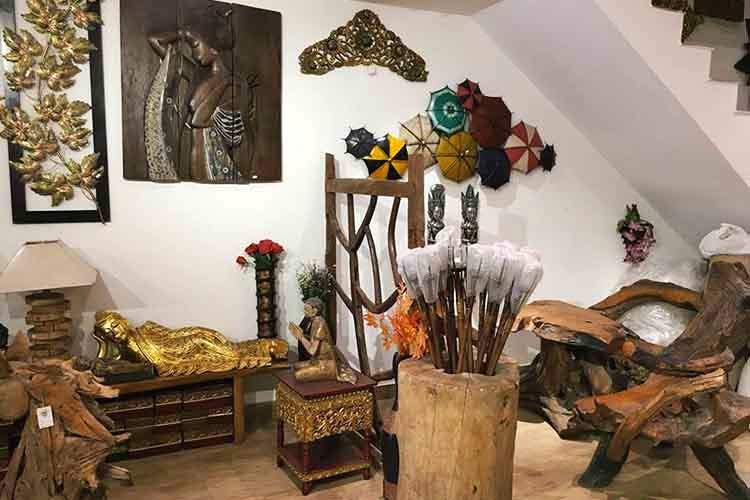 Their stuff is great for gifting or just replacing your old boring décor you have going on at home to some ethnic antiques from all over Asia.